8 tips to hosting a successful open house | InstaMLS | By Owner Flat Fee MLS Services in MA & NH. 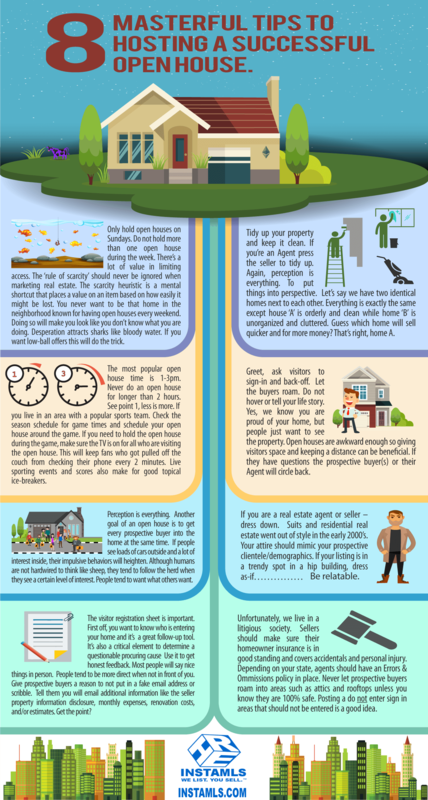 We have created a real estate infographic for our popular advice article on how-to hold a successful open house. It’s designed to be helpful to real estate brokers, agents and sellers. File this one under Real Estate Psychology. Feel free to copy the code below and paste it into your site to share with your fellow agents or sellers.